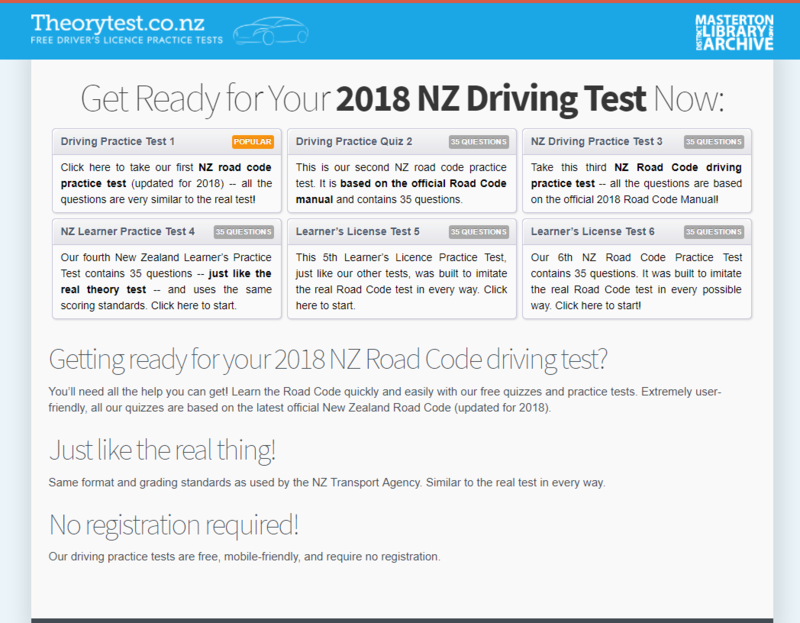 Are you getting ready to sit your NZ Road Code driving test? The Masterton District Library has partnered with TheoryTest.co.nz to provide free quizzes and practice tests to our users. It’s just like the real thing, with the same format and grading standards as used by the New Zealand Transport Agency. No registration required, simply visit the website and start practicing. Use it on the computer, or on the go, using your mobile phone.